In this blog post I am going to explain how to customize Sitecore Page Editor Ribbon in Sitecore. This topic is going to be a bit lengthy so I’ve decided to complete this topic in three blog posts. 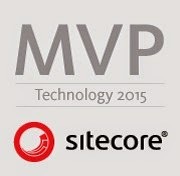 Let’s start with brushing up common fundamentals related to Sitecore Page Editor Ribbon Components. Recently I’ve come across a situation where I need to allow content editors who were using the Sitecore Page Editor to edit some hidden page-level fields like Page Title, Meta Keywords, Meta Description and various Menu options. 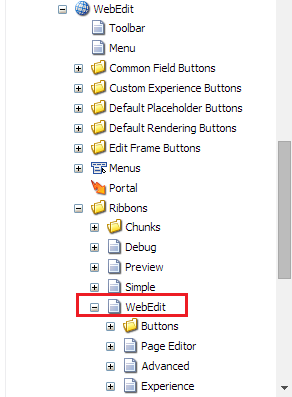 Thus I’ve decided to add some custom additional buttons in Sitecore Page Editor Ribbon in order to modify these fields. Adding additional buttons in Sitecore Page Editor Ribbon is good idea as these fields will never be displayed and don’t belong to any specific component. The definition for the Sitecore Page Editor Ribbon is located in the Core database. The path is /Sitecore/Content/Applications/WebEdit/Ribbons/WebEdit. I’ll create one new strip Page Fields. Underneath this strip, I’ll be adding one new chunk (Hidden Fields) and two large buttons (Edit Meta Data and Edit Menu Options) in Sitecore Page Editor Ribbon. Clicking the Edit Meta Data button and Edit Menu Options button opens a field editor with relevant the fields which allows content editors to modify page-level fields. With these additions to the ribbon, the content editors no longer have to open the Sitecore Content Editor to modify page-level fields that are not visible. In the next blog post I’ll explain step by step how to customize Sitecore Page Editor Ribbon.